No Minimum Purchase. Restrictions apply. Up-front low prices with 1-year protection. AutoAnything has Free Shipping everyday on more than 99% of our products, saving you some valuable cash on accessories. We work hard to deliver you the lowest prices up-front, everyday. We'll beat any price - online or offline. We put 1-year price protection in your pocket. Need help deciding which item is right for you? Got a question about a product? Unsure if a part or accessory will fit? No worries - AutoAnything's In-House Experts are ready to assist. Our trained, knowledgeable specialists will guide you to the right parts and accessories for you - online via Live Chat or on the phone at (800) 874-8888. 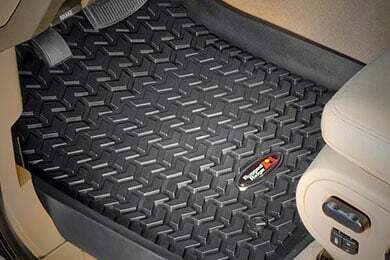 Protect your vehicle’s factory carpets from the constant onslaught of tracked-in mud, muck and mayhem with a set of custom or semi-custom car mats. 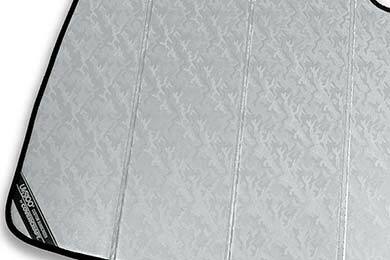 From protective all-weather floor mats with crud-catching grooves to plush carpets with custom embroidery, AutoAnything has the floor mats & liners you need from the top names in the business like Weathertech, Husky Liners, Lloyd Mats and Catch All Floor Mats. 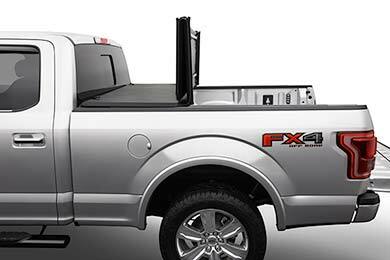 Cover your assets—and your truck’s bed with the security and style of a custom-fit tonneau cover. 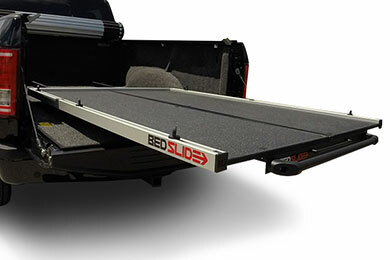 Whether you’re in the market for a soft Access tonneau cover, an Extang hard tonneau cover, a roll-up cover from Truxedo or a fold-up from Bakflip tonneau covers—AutoAnything has a vast array of truck bed covers from all the top tonneau brands in the business. Lift the factory stranglehold and let your engine breathe free with a power-producing cold air intake or throttle body spacer. With your choice of spacers and cold air systems like the legendary K&N cold air intake, the big & burly Volant cold air intake, the race-proven AEM intake and more from all the top brands, AutoAnything is your number-one source free-breathing performance. 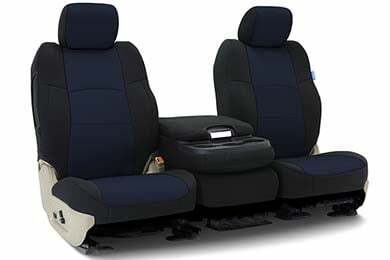 Nothing in your vehicle takes the abuse your seats face daily. Sliding in & out, soda spills and forgotten fries all take their toll, so wrap & protect ‘em with a set of custom seat covers. 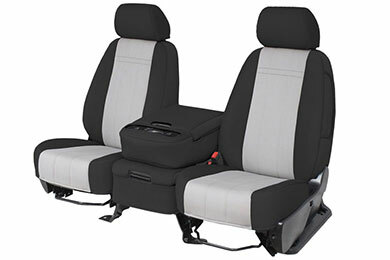 With everything from neoprene seat covers to sheepskin seat covers, and a bevy of big brands like Wet Okole, Coverking seat covers and Covercraft seat covers—AutoAnything has you and your seats covered. Unleash the beast, upgrade your style and wake the neighbors with performance Exhaust, Mufflers & Tips. Whether you’re looking for the high-end quality of stainless steel in a Corsa exhaust or Borla exhaust system, the street-proven growl of a Flowmaster exhaust or Gibson exhaust system, or the truck-ready power of an MBRP exhaust, AutoAnything is your exhaust, mufflers & tips connection. 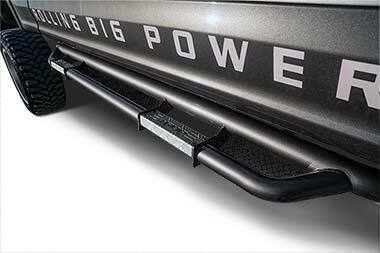 Step up to easy access and high style with a set of custom-fit Nerf Bars & Running Boards. 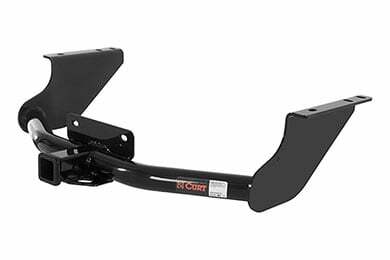 Boasting a huge selection of SUV and truck running boards, round and oval nerf bars, folding truck steps and more, it’s easy to boost your rig’s style. And, with brands like Romik running boards, Westin nerf bars and Aries nerf bars, you know you’re getting the highest quality steps on the market. 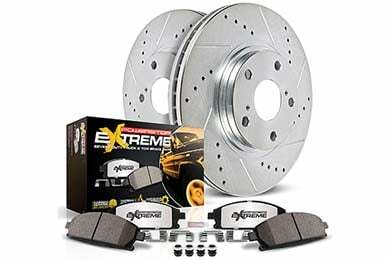 Hit the brakes and slide into AutoAnything for all of your performance brake rotors, brake pads and complete brake system needs. Featuring a garage full of the biggest brands in the braking biz, AutoAnything is your official dealer for legendary Brembo brakes, race-proven EBC brakes, direct-from-down-under DBA rotors, and more. 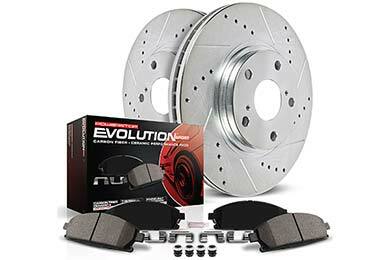 Plus, we feature a lineup of brake tools and accessories, too. Release the high-performance potential of your powerplant with a performance chip or power programmer. With AutoAnything's assortment of chips, tuners and modules, you get more load-hauling horsepower, tire-turning torque and even better fuel economy. 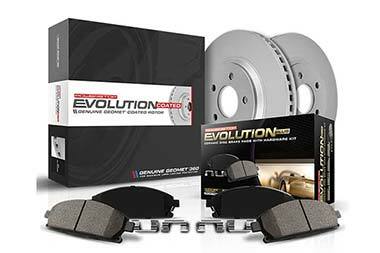 Plus, can choose from brands like Superchips, Bully Dog, Hypertech, Banks power, and other top-ranked power-tuning brands. 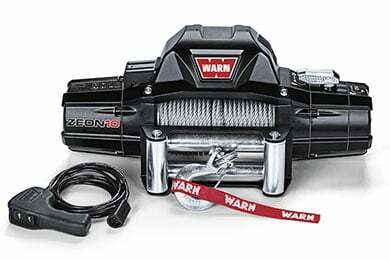 Raise your rig to sky, drop your sled to the street or improve the family cruiser’s ride with our selection of suspension systems. 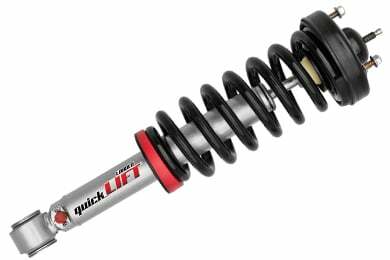 From shocks, Air Lift suspension & lift kits for trucks to Eibach springs, struts and sway bars for hot hatches—we have the suspension components you need. 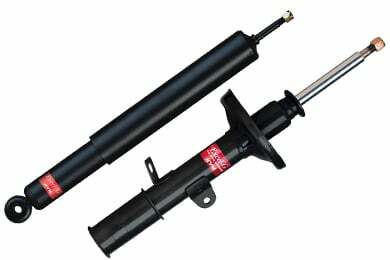 And, with names like Rancho shocks, KONI & more, it’s clear that we offer the top brands in the industry. 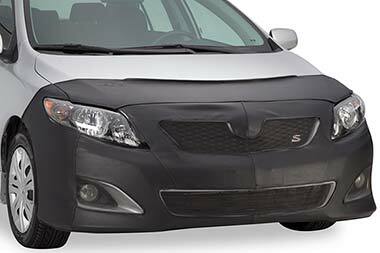 Deflect and redirect the ambush of sticky bugs, flying debris and whipping winds with a custom-fit bug deflector or vent visor. With our huge selection of deflectors, rain guards, sunroof visors and more—plus name brands like WeatherTech, EGR and the famous AVS bug deflector, AutoAnything is your number-one source for deflection. Once you park your prized ride—indoors or out—it’s vulnerable to the bird squeeze, sun rays, dust & dirt seeking to smatter its paint. 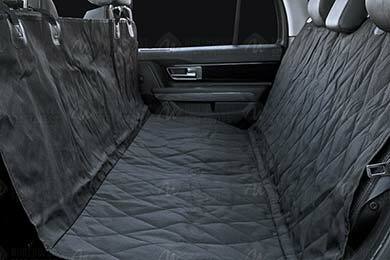 Stop fading, scratches and dings dead with indoor & outdoor car covers from AutoAnything. With a huge selection of Coverking & Covercraft car covers, and over 5,000 car covers reviews, finding the perfect Corvette car cover, or any car cover is easy. Take your ride to the cutting-edge of style and light up the night with our brilliant selection of automotive lights. 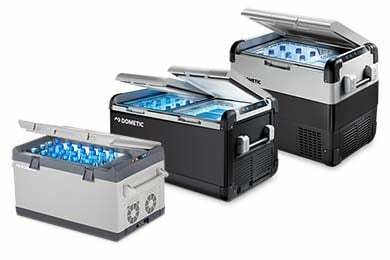 Featuring a full spectrum of Euro & led tail lights, replacement headlight bulbs, off-road lamps and more—plus the brightest names in the biz like Anzo headlights, Spyder headlights and PIAA lights— lighting up with AutoAnything is an illuminating experience. Introduced way back in 1983, the Ford F-150 has become the undisputed king of trucks. 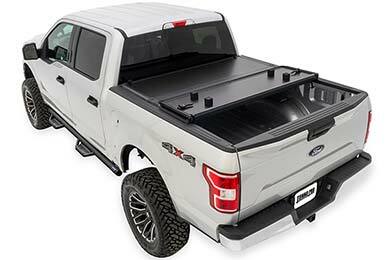 And, with our vast selection of custom-fit Ford F150 seat covers, protective Ford F150 floor mats, more than one secure & stylish F150 bed cover, paint-protective F150 fender flares and much more, AutoAnything has become the undisputed king of Ford F150 accessories. Like a rock, standing arrow straight, your Chevy Silverado is the heartbeat of all your work & play activities. 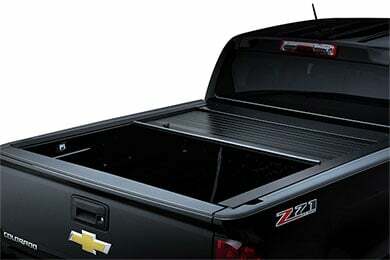 And, when it comes to Chevy Silverado accessories, AutoAnything is an American revolution—which makes us the place for sturdy step bars for Chevy Silverado, a secure Silverado bed cover, a powerful Silverado exhaust system, custom Silverado seat covers and all your truckin’ stuff. In a world of Fords and Chevys, only one truck stands out from the crowd—the mighty Dodge Ram. 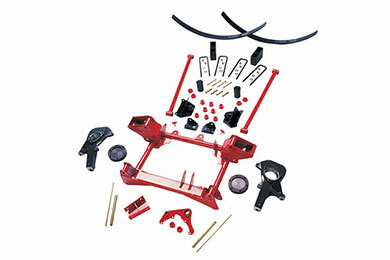 And, in the world of Dodge Ram accessories, only one retailer stands out from the crowd—AutoAnything. With a huge selection of Dodge Ram floor mats, Dodge Ram seat covers, Dodge Ram running boards and a custom Dodge Ram brush guard, we help you put the “tough” in Ram Tough! Like its namesake region, the Toyota Tundra is one tough truck—especially when outfitted with custom-fit Toyota Tundra floor mats, form-fitting Toyota Tundra seat covers, a sleek Toyota Tundra tonneau cover and of course, some brush guards to block the errant caribou. And, the best place north or south of the arctic circle to get your Toyota Tundra accessories, is right here at AutoAnything. Named after the roughest mountain range in North America, your GMC Sierra is one rugged rig. 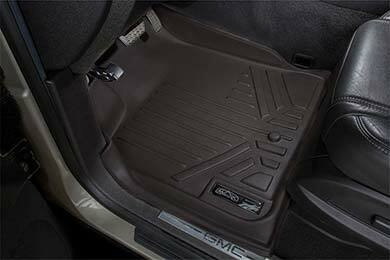 To up the rugged factor, outfit it with GMC Sierra accessories from AutoAnything, like a set of neoprene GMC Sierra seat covers, custom running boards for GMC Sierra, a power programmer for GMC Sierra and maybe one of our curt hitches for some extra towing power. Now, that’s a rugged truck. The hardest working town in the country is Tacoma, WA. And, the hardest working truck on the planet is its namesake—the Toyota Tacoma. 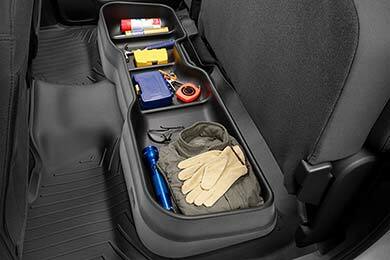 And, whether you’re working or playing, do it better with Toyota Tacoma accessories from AutoAnything. 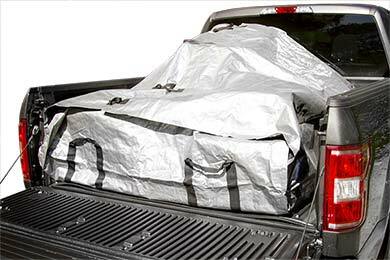 We have the Toyota Tacoma bed cover, Toyota Tacoma seat covers, Tacoma floor mats and nerf bars for Toyota Tacoma that you need—for less! The middle child of the F-Series lineup, the Ford F-250 is no glory seeker—just one tough truck. 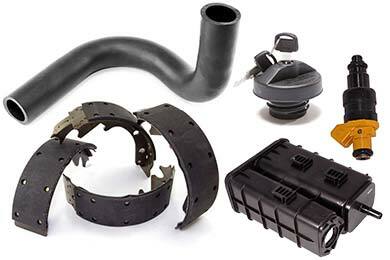 And, with F250 accessories like an F250 truck bed cover and some running boards for Ford F250 from AutoAnything, your trusty truck gets even tougher. Then, add some Ford F250 seat covers for interior protection and some fender flares for F250 style, and you have the toughest rig on the block. The papa bear of the F-Series family, the Ford F-350 is one of the most fearsome rigs on or off the jobsite, especially when equipped with a receiver hitch and a set of F350 mud flaps. And, when you outfit yours with some other Ford F350 accessories like a set of F350 seat covers and F350 running boards, you stay comfortable and relaxed inside your hard-working rig. What do Greek mythology, Saturn’s moons and pickup trucks have in common? Titans, of course—which makes the Nissan Titan one tough, out of this world rig. And, with the proper Nissan Titan accessories, like a fire-breathing Nissan Titan exhaust, a powerful Nissan Titan programmer, a super-secure Nissan Titan bed cover and Titan-specific bull bars for trucks, your rig gains mythological powers! Since 1964, the toughest, fastest pony on the road and track has been the Ford Mustang. And, here at AutoAnything we have a corral full of Ford Mustang accessories that you can lasso for less. Saddle up with a set of Mustang seat covers, put your pony to bed for the night with a Mustang car cover, dress it up with a Mustang bra and keep it outta the sun with a custom Mustang windshield sun shade. From its introduction in 1967 to its rebirth in 2009, the Chevy Camaro has inspired generations of American motorheads to drop the hammer. One of the most highly customized cars in history, there’s no shortage of Camaro accessories—and AutoAnything is the place to get your Camaro floor mats, a Camaro car cover a Camaro bra and one of our many Camaro dashboard covers. Reference # 766-173-848 © 2000-2019 AutoAnything, Inc.